If you’re like me, you grew up surrounded by Christmas lights every December– and you loved it. From the smell of evergreen trees to the nip of the cold Winter weather, when December rolls around we’re instantly filled with a feeling of warmth and joy because we know it’s Christmas time. Let’s face it, though, without Christmas lights– it just wouldn’t be Christmas. 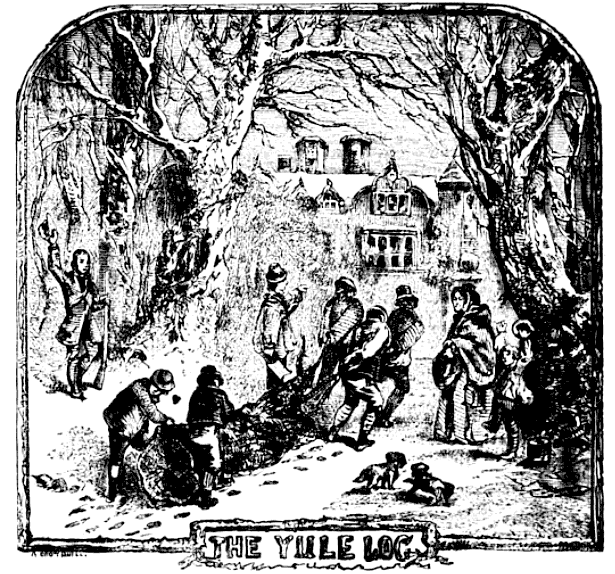 Later, Christianity would incorporate Yule traditions into Christian festivities, lighting up Yule logs on Christmas Eve until as recently as the 19th century. A similar tradition of light as an important part of Winter time traditions can be seen echoed in various Christian Christmastime traditions including Candlemas, Christingle, and Luminaria. The first recorded reference to the practice of placing candles on trees was said to come from Germany in 1660. But it was nearly 100 years later, in 1747, that the Pennsylvania Dutch brought us perhaps the first official advent of the Christmas tree in the “lichstock” (or light stick), which was a large wooden pyramid lit by candles. Later, in 1832, Harvard professor Charles Follen would borrow inspiration from the Dutch and go on to decorate an evergreen with candles in what is believed to be the first rendition of the traditional lighted Christmas tree in the U.S. Frederick Artz would then go on to invent the clip-on candle holder in 1878, a device that securely fastened each candle to the branch which was used. 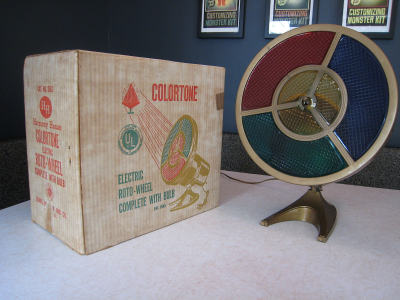 The invention was used by families in the U.S. for the next several decades. 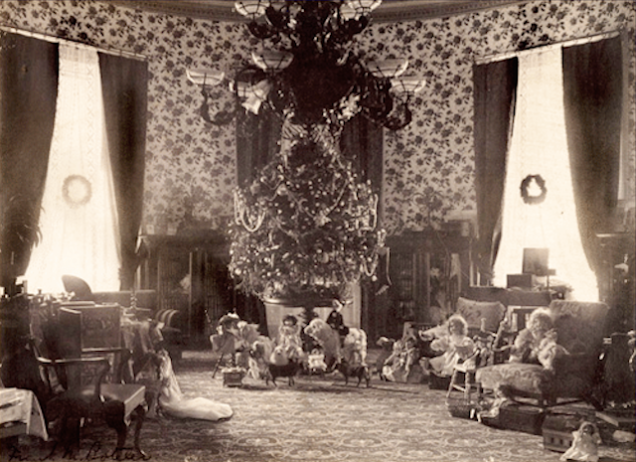 Victoria and Albert gathered around the Christmas tree with their children. 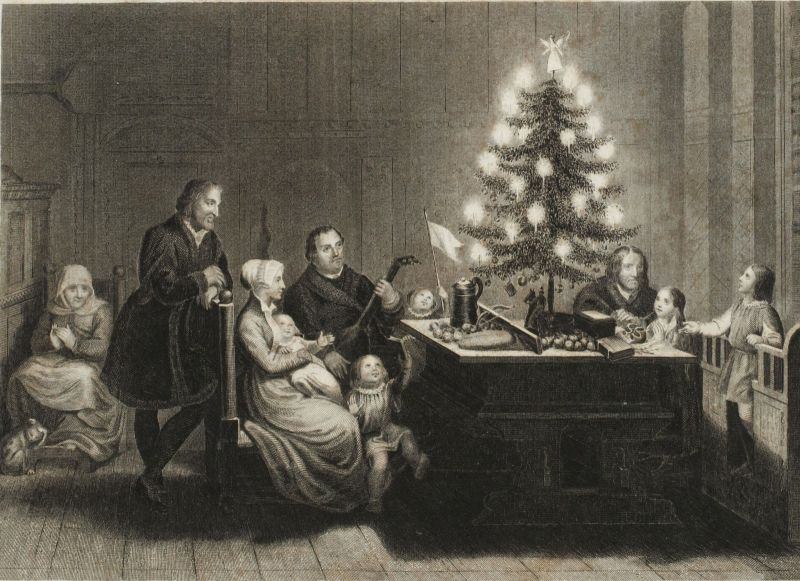 Between the time Follen decorated the first Christmas tree with candles in the U.S. and Arts created the clip-on candle holder, across the pond the royal family consisting of then Queen Victoria and husband Prince Albert were illustrated as gathering around a candle-lit Christmas tree in the London news. 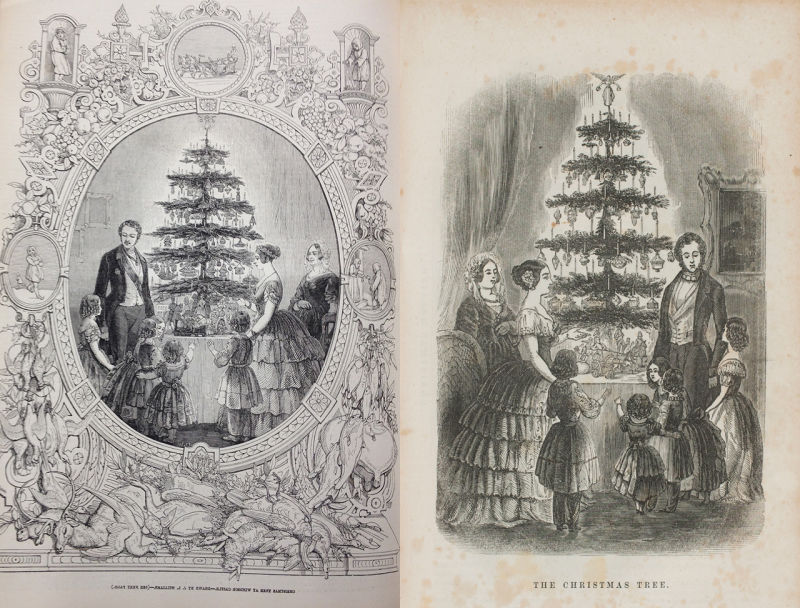 As expected, this created quite a craze and made candle-lit Christmas trees wildly popular in the U.K. An edited version of this illustration eventually made its way to the U.S. and further influenced the states to adopt the practice. In 1879, Edison finalized the world’s first long-lasting carbon filament lamps, which he used to light up his laboratory in Menlo Park, New Jersey on New Year’s Eve of that year. But Edison wasn’t just trying to fill others with the holiday spirit, his light show was actually a bid to win a contract to power all of Manhattan with electricity. 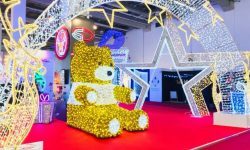 In the same way, commercial businesses have continued to use Christmas lights to drive customers during the holiday season to the present day. Edison wasn’t just the inventor of the modern Christmas light, he inadvertently played an important role in the invention of the modern electric-lit Christmas tree as well. During the Christmas of 1882, then vice president of Edison’s Electric Light Company Edward H. Johnson decided to hang Edison’s lights up on a Christmas tree. The event was largely ignored by the press, but word took off when a small Detroit newspaper featured the story. 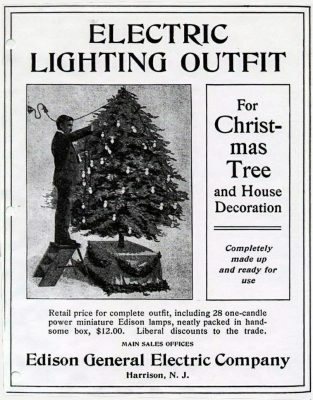 From that day on, Johnson earned the title, “Father of the Electric Christmas Tree”. A decade later, after Johnson’s electric-lit Christmas tree, President Grover Cleveland requested an elaborate Christmas light display to please his three young daughters. 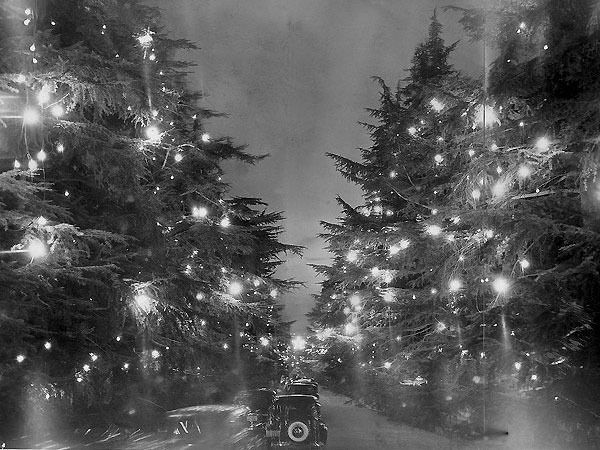 Similar to the illustration of Queen Victoria that made waves in the U.K. half a century earlier, this photograph helped spread the practice of lighting evergreen trees during Christmas time. This was an important moment in the history of Christmas lights, especially in the U.S., because electric lights still weren’t trusted by the public (despite the fact that candle-lit Christmas trees posed a much greater fire risk). 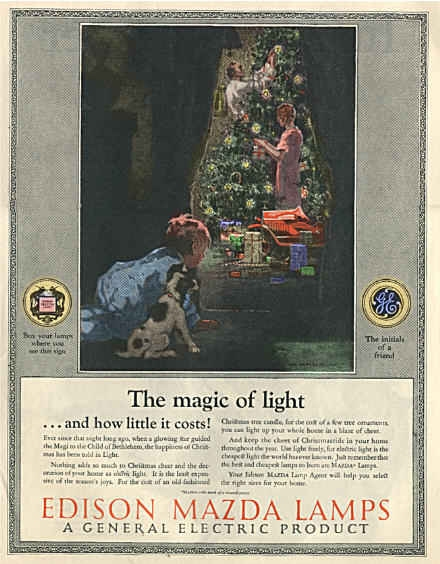 More than two decades after Edison’s first Christmas lights lit up Menlo Park, Edison’s General Electric began selling Decorative and Miniature Lamp kits that would light up Christmas trees all around the country. 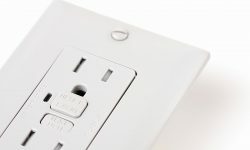 All electric appliances like toasters, irons, and extras like Christmas lights had to be connected to an existing wall or ceiling light socket. That is...if you could afford it. The only problem with Edison’s first Christmas light kits is they were expensive and therefore ended up being reserved for the wealthy. To give you a better idea, back then a single set of lights cost $12.00 to rent for the holiday season. In contrast, that would run you more than $300 in today’s dollars. 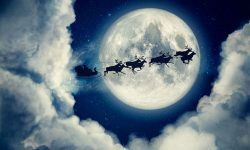 Now that the Christmas light industry had officially kicked off with Edison’s Christmas light kit, it was time for the U.S. to do what it does best: innovate. Over the next two decades (and beyond), string lights became more powerful, longer-lasting, and perhaps most importantly at the time: less expensive. By 1919, G.E. made its first major innovation by debuting their flame-shaped bulbs using MAZDA tungsten filament. 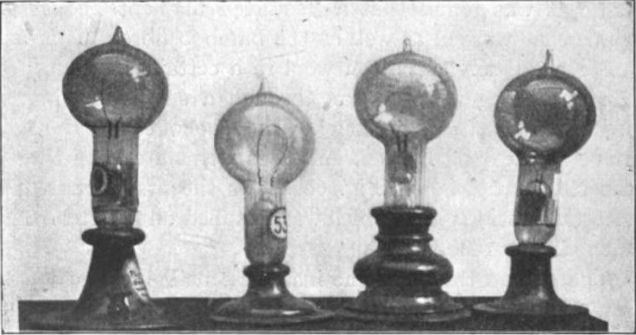 G.E.’s original round bulbs were then discontinued by 1922. Around the same time as G.E. 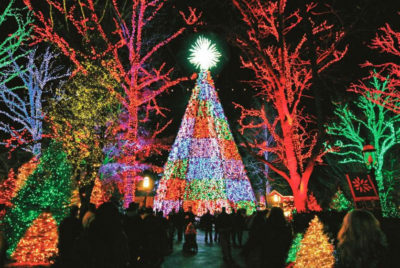 was debuting their flame-shaped bulbs and the innovation of Christmas lights was taking off in general with new light displays such as light snowmen, saints, and Santa Claus, the first outdoor Christmas light shows were taking off throughout the country as well. Most notably was the Santa Rosa Avenue Christmas Tree Lane show started by Frederick Nash in Altadena, California. 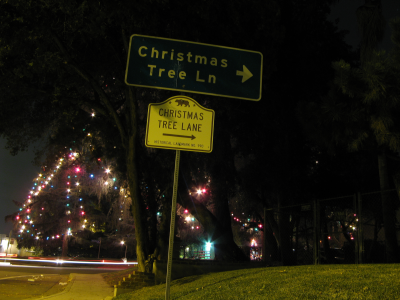 Since 1920, Christmas Tree Lane has been lit every single year (with the exception of the period during World War II) for resident’s enjoyment. 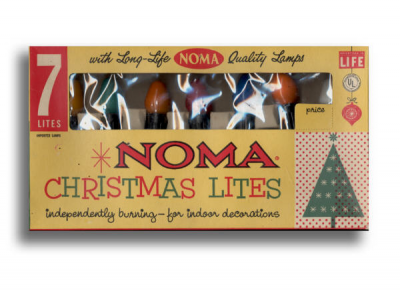 NOMA was the largest Christmas lighting company in the world for all of the years of its operation prior to 1965. With the steep price tag of Christmas lights still in place (although somewhat more accessible than before), candles were still a go-to option for most lower income families. That is, until Albert Sadacca, a teen at the time out of New York City, decided to repurpose the white novelty lights his family had sold for years by turning them into colored bulbs. As a result, a cheaper and more accessible Christmas light was born. Over the next several years, Sadacca’s National Outfit Manufacturer’s Association Electric Company (or NOMA for short) would take over the industry once cornered by G.E. and become the largest Christmas light manufacturer in the world for roughly 40 years. In addition, the company would go on to make several significant light innovations. Yes, before you ask those are bubbles inside of a Christmas light. 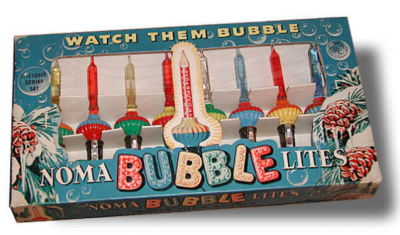 In 1946, NOMA brought what was called the “bubble light” from the U.K. to the U.S. with an American patent. Within the plastic light casing, methylene chloride was heated to a very low boiling point, just enough to where it would visibly bubble through the plastic casing, hence the “bubble” light. Despite the odd and somewhat gimmicky nature of the bubble light it swept the country and was incredibly popular for its time. We’re mesmerized! 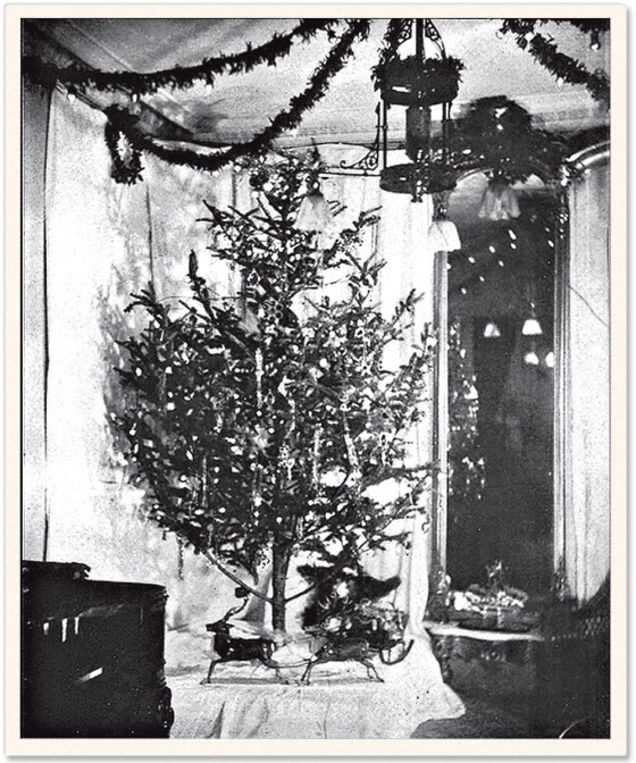 With the 1950s Space Age came the advent, and resulting popularity, of the aluminum Christmas tree. A tree which was fireproof (finally! ), never died nor needed water, and offered a space age feel was too good to pass up. 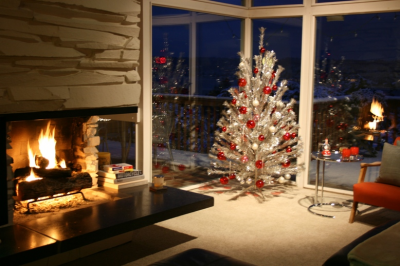 Unfortunately for Christmas light companies at the time, the popularity of the aluminum Christmas tree lasted over a decade. 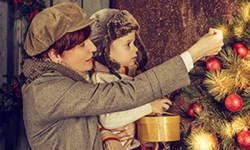 As a result, the industry saw a significant drop in sales and in 1966 NOMA, then the largest Christmas light manufacturer in the world, officially filed for bankruptcy. It’s not known exactly when the last U.S. manufacturer stopped making lights, but by 1978 nearly all U.S. light manufacturers had gone out of business or switched to foreign made sets. With NOMA out of the picture and the U.S. Christmas light industry still reeling, G.E. (who was still in the game) decided to bring manufacturing overseas. However, in good news, the result was that Christmas lights one again underwent a drop in price. 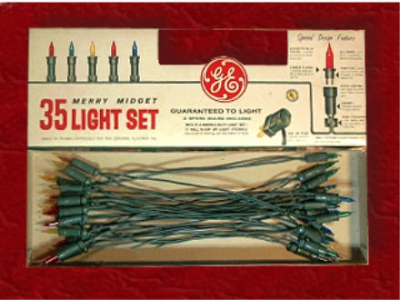 G.E.’s new Merry Midget mini lights (which are still available today) were smaller, cheaper, and more outdoor-friendly, so people began lighting their houses all over the country with greater intensity. 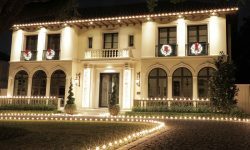 Although houses had been lit before this, the practice wasn’t very common until the creation of G.E.’s Merry Midget lights, hence the birth of the widespread tradition of lighting your home with Christmas lights during the holiday season. With the invention of the mini light offering a bright but low-cost and low-wattage lighting source, the U.S. went crazy. In true American fashion, people began decorating houses with huge amounts of lights in a bid to outdo their neighbors and design a bigger and better spectacle than the next person. 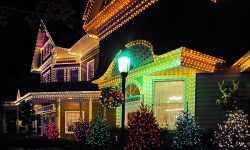 This tradition continued over the next two decades until the present day, where shows like ABC’s The Great Christmas Light Fight brought such competitions to major television. From 1998 until the present day, a new kind of light quickly took over and has dominated ever since. The LED Christmas light, LED standing for “light emitting diode”, lasted longer and was more efficient than the mini light. The LED light uses 95% less energy and lasts up to 100,000 hours, making it more efficient than the traditional mini light by a longshot. In addition, LED lights didn’t have the same problem as older Christmas light models where if one light went out the entire strand was done. With LEDs, if one light went out the rest of the strand continued to stay lit (and you could then buy a replacement bulb to fill in the strand). However, in addition to the already game-changing benefits of LED Christmas lights, as opposed to previous light models LEDs are also shock resistant, vibration resistant, and some models are even moisture resistant to protect from the Winter rain to top it off. To fit with the times, LEDs are also environmentally friendly, with the strand being recyclable once it reaches its end. The history of Christmas lights has been long and eventful and no one knows what will happen next. But one thing is for sure– the future looks bright (really, really bright).